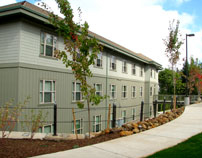 Balyo Hall, the newest residence hall on campus, houses about 110 male and female students on three gender-specific floors. 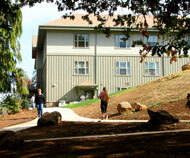 Its facilities include community bathrooms, large community spaces, full kitchens, and laundry rooms on each floor. Vaulted ceilings, exposed beams, and a cozy fireplace make the second floor community space a favorite hangout. 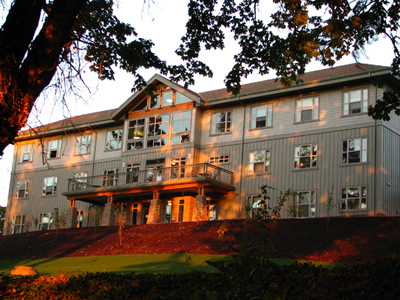 The hall is named after President Emeritus John G. Balyo.